Forests in Telangana continue to be under serious threat of encroachment. 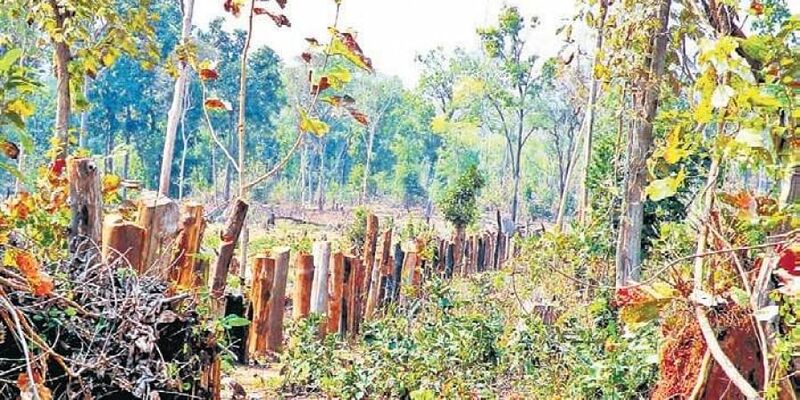 HYDERABAD: Telangana forest department has thousands of cases pending in courts and most of them are related to encroachment of forest lands, disputes over the forest boundaries and cases of wildlife poaching. Unfortunately, the department does not have a separate legal cell or counsellor. This despite statistics showing that every month, at least 30 cases registered in courts are related to forests and wildlife. According to the department itself, there are 3,588 cases pending in courts where it has to defend its stand. Since 2014-15, the department has managed to get only 7 cases disposed while, during the same period, 1,218 fresh cases have been filed. Since this January, 304 cases have been filed in cases related to the department across various courts. The lack of a separate legal cell, for a department that controls about 24 per cent of the State’s land resource, has not just become a hindrance for efficient functioning but also allows those violating environment laws to roam around freely without any fear of consequences, say activists. This also has a direct bearing on the already poor forest cover in the State. There’s trouble even there. The government pleader in charge of the forest department is also handling the women and child welfare department. “There is a dire need for a legal cell within the department, headed by a legal expert,” opines Imran Siddiqui, founder of the Hyderabad Tiger Conservation Society.